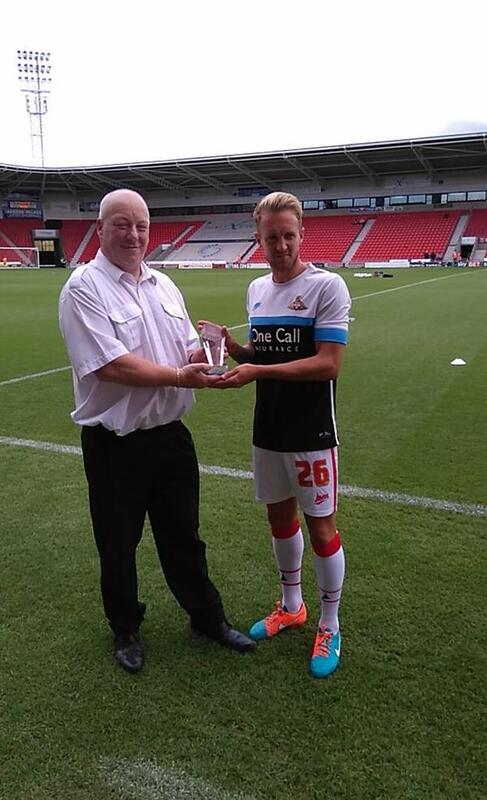 We'd like to thank Rovers fan Ian Otley for presenting James Coppinger with the Viking Chat Player of the Year 2014/15 award. The trophy is awarded to the player who received the most man of the match votes over the duration of the season, and can be voted for by all users of the forum. Copps narrowly beat Harry Forrester in the last game of the season to win the VSC supported award.